Even with an uncontested heritage of all-conditions optical performance, the all-new 56mm objective MONARCH 5 further elevates its game with massive 56mm objectives and advanced low light brilliance. Nikon's ED glass lenses put it in a class of its own for battling darkness with sharp, high-contrast views. Long eye relief and tripod adaptable further its versatility. 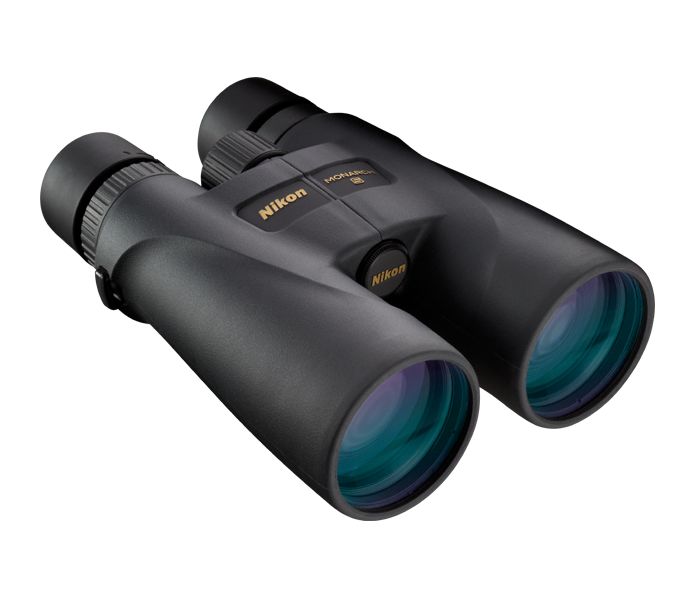 Nikon has manufactured the MONARCH 5 binoculars, as well as many other of its optics, with a high-eyepoint design. This provides a clear field of view for everyone, even when the user is wearing eyeglasses, with sufficient space between the user’s eye and the eyepiece lenses. This technique boosts light reflectivity for the full visible range, which provides clearer whites and a sharper, brighter, and more natural vision across the entire field of view.